We invite you to take a look at our huggable and lovable Coton de Tulear puppies that have been raised in our home for your home. A wet nose a wagging tail is about to drive your troubles away. We are located in St. Jacobs country, just north of Kitchener / Waterloo. 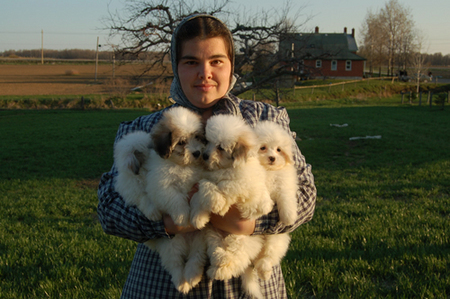 Coton Jewels has puppies available now. Are you looking for the perfect puppy? Our Coton Jewel puppies, a K9 heartthrob, will teach you how good a friend a dog can be! Click on 'Our Puppies' on the banner for updated pictures and details of our current puppies. You are welcome to come see the little sweethearts, choose, reserve and adopt one now if you like.